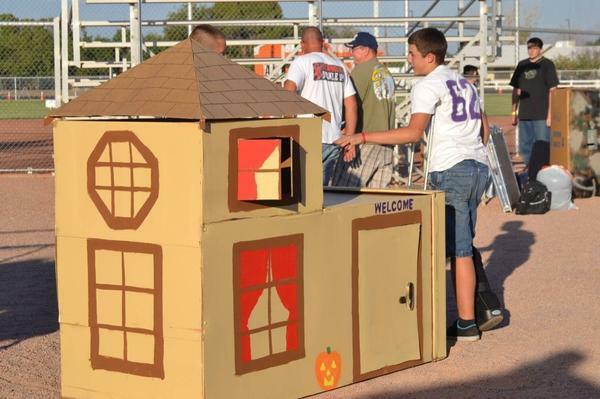 As part of an interfaith National Make a Difference Day, LDS youths from the Queen Creek Arizona Chandler Heights Stake partnered with four other Christian denominations to construct a cardboard city. The city is aimed at raising awareness of the valley’s growing homeless population. Under the auspices of Family Promise of Greater Phoenix, 350 youths and leaders pitched in to help the homeless. Gathering at Barney Park in Gilbert, the youths donated hundreds of hours of labor by preparing hygiene kits for local homeless shelters and constructing their own cardboard shelters to simulate the experience of being homeless.